Portsmouth, New Hampshire, is a quaint, historical city that has experienced incredible growth in the past decade. A haven for millennials, it has business opportunities galore. There’s lots to do in Portsmouth, too, for people of all ages. The following are the 10 best things to do in this incredible city. From spring through late fall, Prescott Park is abloom with green grass and gardens that are alive with color and spectacular blooms. In addition to strolling the park that overlooks the busy Piscataqua River, the Prescott Park Arts Festival welcomes countless visitors and locals to its many stage productions held throughout the summer months. From nationally-known musicians and entertainers to a musical theater performance held several times from June through mid-August, there is always something to do. Make sure to check it out when you visit Portsmouth. 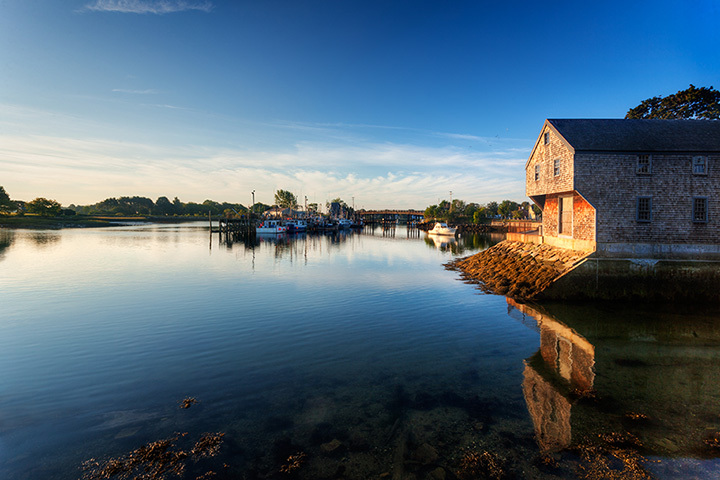 Early Portsmouth was comprised of a neighborhood settled by Europeans. Strawberry Banke is an outdoor museum dedicated to that neighborhood. Forty historical buildings—all persevered from the 17th, 18th and 19th centuries—are available for viewing from the outside. Ten are open for indoor tours. They are outfitted with furniture and other items from the appropriate periods. Staff members dress the parts of people from each era. Located just steps from Prescott Park, it’s a great tour to enjoy after a stroll through the gardens just across the street. Order tickets online at the Isles of Shoals Steamship Company, and travel on the Thomas Laighton out to the Isles of Shoals. The approximately hour-long ride will allow you a view of the Portsmouth seacoast from the water. Once at the Isles of Shoals, you’ll step back in time to a hotel and conference center that is reminiscent of the 1930s. Hike the rocky shore, rent a kayak, or sit on the large wraparound porch in a rocking chair and view the Atlantic Ocean from the island on which you are seated. You may choose from a half-day or a full-day visit, after which the boat will return to pick you up and bring you back to Portsmouth. Take in a show at the Music Hall. From international musicians, nationally-renowned comedians, authors, dancers and more, there is always something exciting taking place at this historical theater. The fully-restored building is a sight to behold—both inside and out. See Portsmouth and its seacoast from the air on a ride from Seacoast Helicopters. Photography enthusiasts will get a bird’s eye view of islands and waterways, orchards and farmland. The helicopters fly low over especially intriguing spots and afford passengers a unique look at this stunning city and the surrounding region. Don’t think “little farmer’s market” when you hear about Portsmouth Farmer’s Market. Every Saturday, from May through mid-October, it’s an event, replete with music or other forms of entertainment, an abundance of locally-grown produce, as well as meats, eggs, milk and cheese, handcrafted goods, and more. Located in the large parking lot at the Portsmouth Police Station, it’s well worth your time to check this out. Open from April through October, the Old Ferry Landing is located on what is known as “the decks” in Portsmouth—a series of restaurants that all feature decks overlooking the tugboat moorings on the Piscataqua River. The Old Ferry Landing is the oldest of them all. Known for its fresh seafood and fabulous cocktails, it’s a popular place to grab a bite to eat or meet friends for drinks. It’s a must if you’re visiting Portsmouth in season. Redhook Brewery has a Portsmouth location, and it’s well worth a visit. Schedule a tour and see how your favorite brew is made, or visit their Cataqua Public House where you can enjoy one of 18 Redhook brews on tap. The Redhook grounds are also home to concerts and events during the summer months. While that might sound vague, downtown Portsmouth is anything but. You’ll enjoy shopping in independently owned shops and boutiques. There are countless locally-owned restaurants, bars, and coffee shops. There is always something going on, from carriage rides to street musicians. The quaint, but classy, ambience of the entire Market Square area is in itself a visitor’s dream. It’s part of what locals love about their city. Two parking garages make for easy access to Market Square. Twenty-six acres of waterpark fun await visitors at Water Country. Some families plan their entire summer vacation around a visit to Portsmouth, with Water Country the #1 reason behind their plan. Perfect for all ages, there are daredevil slides, a lazy river for those who enjoy the water, but not the height and speed, and an area for the little ones to splash and slide. Check the website for hours of operation and ticket prices.